India is a vegetarian’s haven serving a plethora of meals with vegetables and complete plant protein. Though the diet is widely plant-based, meat is still eaten. Lamb, mutton and chicken tend to be the flesh of choice. Food does vary by region, culture and religion. Wheat is the staple grain most popular in the north while rice is more popular in the south. Cows are sacred to Hindus so they don’t eat beef. Jains and Buddhists abstain from the consumption of animal flesh due to the precept of ahimsa or non-violence. Some may also refrain from eating onions and garlic. Jains may also avoid root vegetables. Pickles, chutneys, relish and yoghurt are popular accompaniments to a meal. With all the digestive enhancing spices, fibre and oil in Indian food, it is unlikely you will suffer from constipation. Delhi belly (travellers’ diarrhea) is more likely a concern. Often the culprit is two-fold: lack of hygienic practices and the reuse of oil. Rigorous standards for food safety and handling are not widespread and the oil used to fry many street foods may be used several times over, long after the oil has been degraded. These two factors can cause stomach upset. Exercise caution if tempted to try street food. Follow recommendations from guidebooks and fellow travellers for dining establishments and seek out restaurants that are busy and that cater to tourists. Street food tends to be improvised (no set recipes) and vary from vendor to vendor. Recipes for common Indian dishes are more structured but the use of spices can still vary from cook to cook. 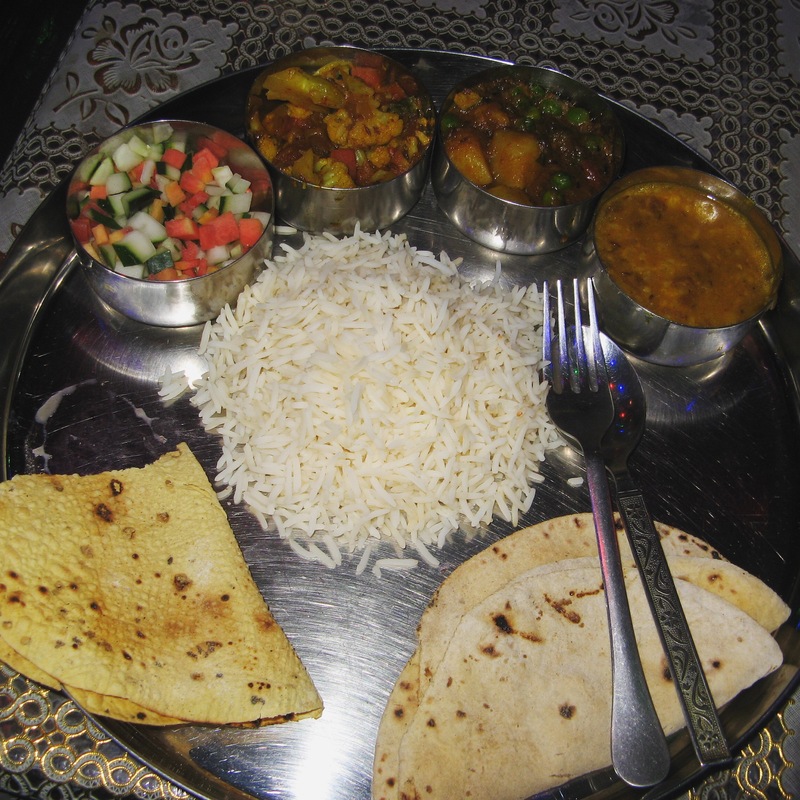 It is possible to dine vegetarian on a budget in India. In a restaurant, order soup and bread from the appetizer menu. The portions are usually substantial and filling while the price is less than a full meal would cost. Order a thali, a sort of Indian tapas or meze style of dining. It contains an assortment of food in manageable portions and is much less expensive than ordering a few main courses. Order a couple of dishes and share with someone. Mmm bread. A serving of garlic naan is like getting a basket of bread sticks at the Olive Garden. 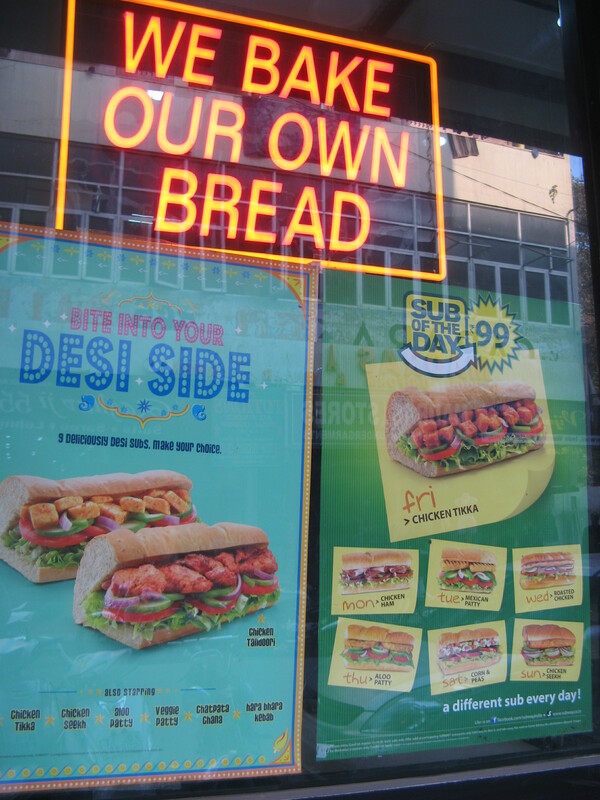 Naan is the ‘white’ bread while roti or chapati is the ‘brown’ bread of India. The holy trinity of flavourings: turmeric (anti-inflammatory), coriander and chili. 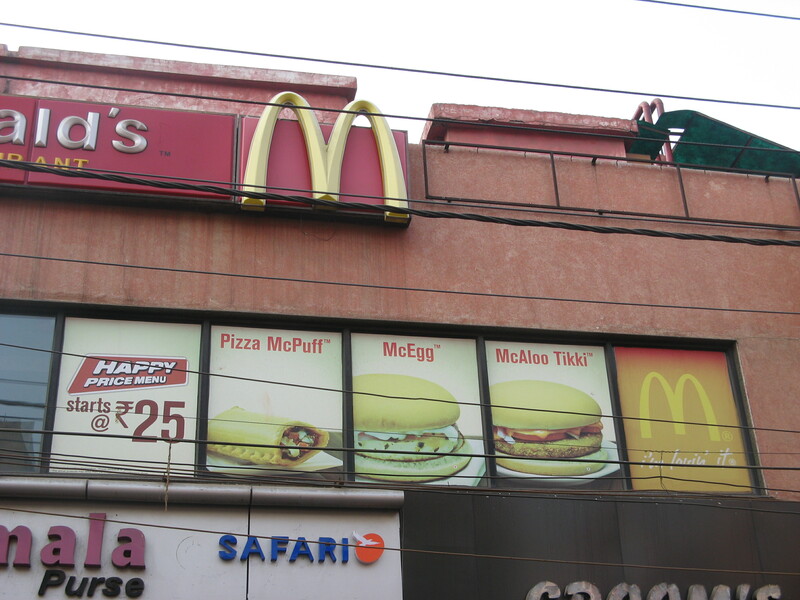 Even McDonald’s and Subway cater to vegetarian tastes. In Rajasthan, there are opportunities to take a cooking class. Get an insiders’ scoop on how to prepare Indian meals. 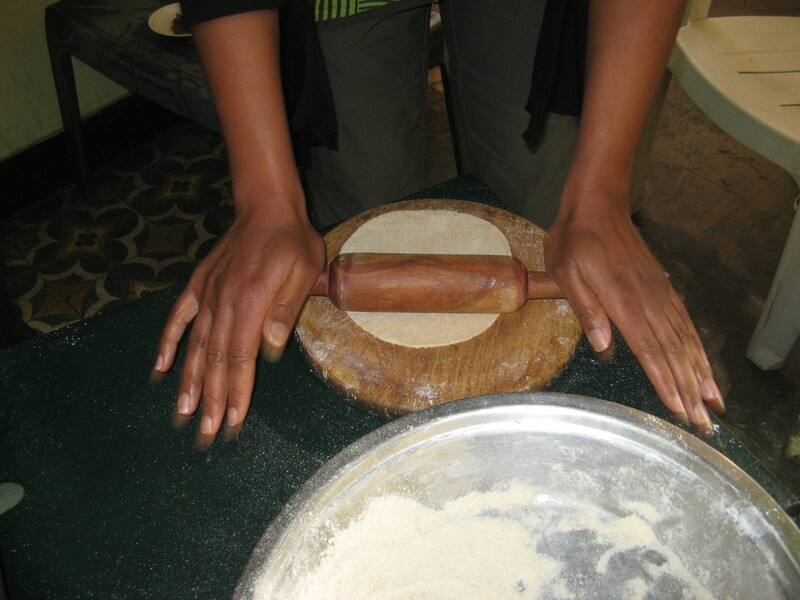 Here I am rolling roti in Udaipur. For more on Indian food, click here for posts from our sister site Weal Food.